Size: O.D. 6.0mm - 60.0mm; W.T. 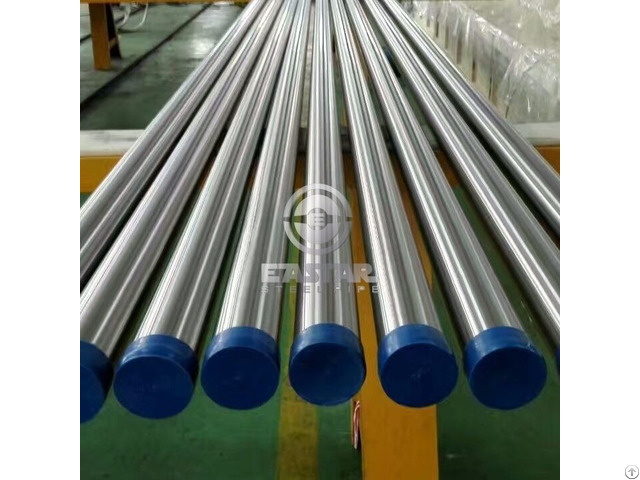 0.5mm - 3.0mm Factory has 10 years experience of making stainless steel pipe and tube, annual output is more than 3000 tons, has been certified by ABS, DNV, TUV and BV. Posted By: Wuxi Xinchang Steel Pipe Co.,Ltd. Business Description: Wuxi Xinchang Steel Pipe Co.,Ltd. is a professional manufacturer of stainless steel pipes and tubes, which was established at the end of 1980s, located in Wuxi city, near Suzhou city and Shanghai city. Xinchang Co. specializes in the development, production and marketing of seamless and welded stainless steel pipes and tubes. We are the research and production base of China Chemical Industrial Equipment Association (CCIEA), and built the base of production-study-research with Chongqing University and Harbin Institute of Technology, put forth efforts on research high-tech products. With the help of customers and the community, after 30 years effort, now we are one of the largest and famous company which has more than 500 staff, including 2 senior engineers, 10 engineers, 45 skilled workers, more than 20 professional inspectors, mill covers 53,300 square meters and 33,000 square meters for workshop, the fix assets is 12 million U.S. dollars, annual output reaches 13 thousand metric tons. We have got ISO 9001:2015 Quality System Certificate, PED 2014/68/EU Certificate, BV Certificate, TUV Certificate and Manufacture License of Special Equipment by State (pressure pipeline fitting). We also have passed the preliminary examination of CCS and DNV. It lays a solid foundation for entering into the industries of pressure vessel and shipbuilding. We supply best quality of stainless steel pipes and tubes, outside diameter from 6mm to 426mm, wall thickness from 0.8mm to 35mm, applications include air-conditioner, refrigerator, power station, shipbuilding, sea water desalinization, nuclear industry, petroleum and chemical equipment, chemical fiber, pharmaceuticals industry, food processing industry, textile, printing & dyeing and machinery industries. For years, we have unswervingly followed the tenet of “mutual benefit and harmonious development” and the principle of “integrity-based and good faith”. Advanced equipment, responsible staff, outstanding leadership as well as perfect quality control system always make sure we offer our customers best products and service. We sincerely welcome regular and new customers to visit our company to discuss the cooperation.